GLOBAL AWARENESS 101 - Let your VOICE be heard and get involved. OUR future depends on it! 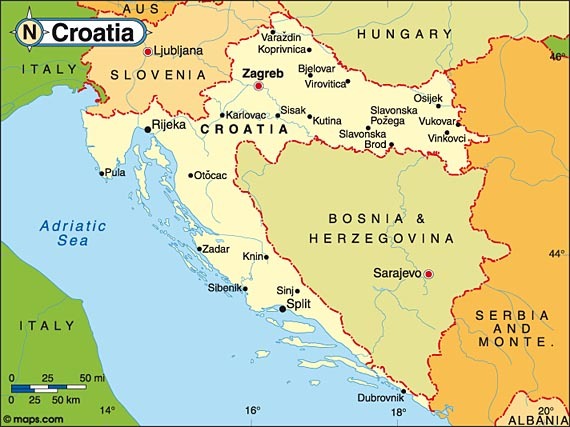 : CROATIA: Croatian Police Shoot Up Minibus That Refused To Stop, Broke Through Roadblock During The Night, Carrying 29 Refugees. Human Trafficker Fled Into The Forest. CROATIA: Croatian Police Shoot Up Minibus That Refused To Stop, Broke Through Roadblock During The Night, Carrying 29 Refugees. Human Trafficker Fled Into The Forest. Croatian police injured two children when they shot at a minibus carrying refugees in the town of Srb, near the border with Bosnia and Herzegovina, according to Croatian media Thursday. The minibus apparently had entered Croatia illegally during the night, according to news website index.hr. Despite several attempts by police to stop the vehicle, the driver carried on. When he broke through a roadblock, police opened fire. The driver stopped the minibus shortly thereafter and fled into a forest. The police found 29 refugees in the minibus. As a result of shots fired two children had suffered injuries, which were described as not life-threatening. Other passengers needed treatment due to the cramped conditions in which they had traveled, with the minibus being filled beyond its capacity. The refugees' country of origin has not yet been confirmed. Refugees have been seeking alternative ways to reach Europe following the closure two years ago of the so-called Balkan route, which included Greece, Macedonia, Serbia and Hungary. Many of the new routes go through Bosnia and Croatia. Since the beginning of the year, around 3,500 refugees have made it to Bosnia, with the majority of those carrying on towards central Europe. Rising numbers of refugees have been reported recently in other countries along the south European route, though the numbers are tiny in comparison to those in 2015 and 2016, when around a million refugees made it to Germany and Austria.